The Intelligent Access Program (IAP), a satellite navigation-enabled technology that provides transport operators with greater access to Australia's road network, is proving beneficial to the industry - especially those transporting bulk loads. In return, the program gathers data from operators and monitors compliance. Certified by Transport Certification Australia (TCA), the IAP uses the Global Navigation Satellite System (GNSS) and is an application of the National Telematics Framework. "The IAP also allows our business to meet our customers' needs." Robert and Sam Ireland, co-founders of Ireland Bulk Haulage, based in Maitland, NSW, say the IAP technology has had very positive effects on their business and for their customers. "Our trucks travel on all sorts of roads with varying access conditions. We understand the importance of using IAP as a technology-based solution to protect the road network for the community while also allowing us to achieve maximum payloads on well-constructed parts of the road network," Robert said. "Whenever we are able increase payload on IAP approved routes, we are also operating in the most environmentally friendly manner that we possibly can. This is because emissions per tonne kilometre fall as payload increases," he added. "The IAP also allows our business to meet our customers' needs while completing fewer truck trips. That gives our customers a productivity benefit and the community a safety benefit." 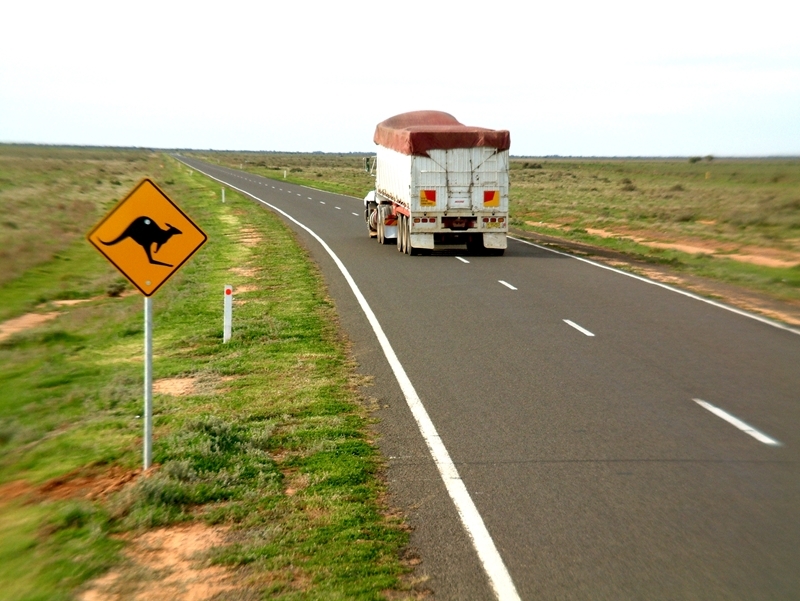 Truck fleet operators in Australia are finding productivity and safety benefits after enrolling in the IAP. Established by Robert and Sam in 2012, Ireland Bulk Haulage now operates six trucks transporting bulk products such as grain, meal, fertiliser and sand across the eastern seaboard. The company's fleet includes two Performance Based Standards (PBS) Truck and Dog combinations, two modern Road Trains and a 19-metre stag B-Double (a stag B-Double has a short last trailer in a B-Double combination, which connects to a fifth wheel on the towing trailer under the towing trailer's load carrying area). All combinations, except the stag B-Double, are enrolled in the IAP. Robert and Sam Ireland understand the importance of ensuring that Ireland Bulk Haulage is compliant, and have achieved and maintained accreditation under both NHVAS and Trucksafe. "We have applied the philosophy of running a compliant business to our company because it offers us a more secure foundation for business success," said Robert. 'Ireland Bulk Haulage now operates six trucks transporting bulk products." Sam said they had approached TCA-approved service providers and decided to offer Pinpoint Communications the opportunity to install in-vehicle units into their vehicles which would be enrolled into the IAP. "We have been very pleased with the service provided by Pinpoint Communications in terms of coordinating installation, explaining the unit's capabilities in terms of compliance and back office functions, and through its approach to after sales service," said Sam. Pinpoint Communications' Advanced Vehicle Management is a vehicle telematics solution that works through a cloud-based system, meaning that vehicle data is accessible on any device. To find out more about how to monitor and manage the transport efficiency and compliance risk of your fleet, please get in touch with Pinpoint Communications today.